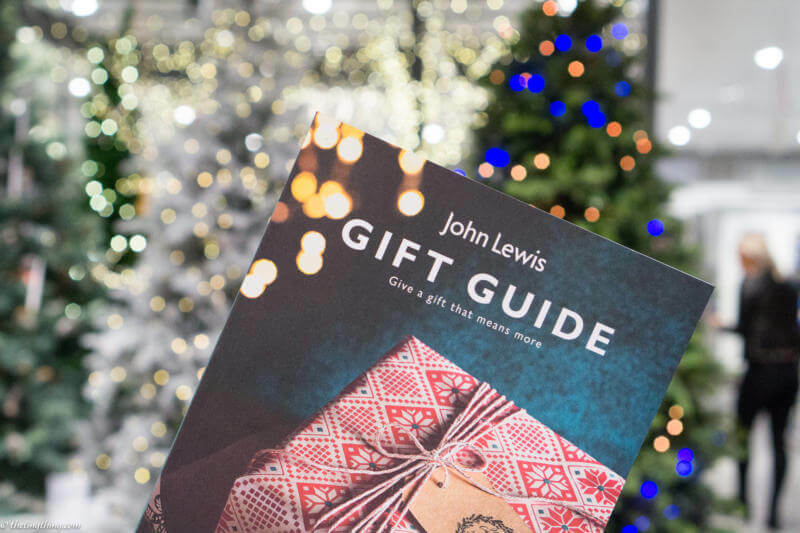 With annual sales rising year on year and the average spend per shopper hitting a whopping £1174 in the UK, you don’t need us to tell you that Christmas shopping is a big deal. That’s why it’s essential for your business to have a stellar marketing plan that can take advantage of all the opportunities offered during the so-called ‘Golden Quarter’ of the year. If you’re stuck for ideas to boost your marketing, you’re not alone! Deciding on your marketing plan isn’t always easy, especially if you feel like all the good ideas have been taken. We’ve popped our 12 favourite marketing ideas into a handy list (and we’ve checked it twice! ), so there’s plenty to inspire your own festive promotions. Whether you choose to write a blog, send out a catalogue filled to the brim with festive goodies or even create a seasonal leaflet to engage customers, always try and create something to suit the occasion. For example, if your business is a café, why not try handing out flyers with an easy jam tart recipe on the back. Or, if you’re in the events management industry, you could create a winter wedding guide for prospective customers! Handy with a camera? Make a video guide! It could be decorating a tree with the ornaments you sell or wrapping up presents you can buy in your store; if it’s something people are going to be searching for guidance on and it’s related to your industry, make sure you’re there to help. A lot of businesses find that social media gives them the best platform to increase customer engagement. People can ‘like’, and ‘tweet’ and ‘post’ at the touch of a button! And since there are so many people using social media, it’s a great opportunity to find new customers too. Make sure the prize you pick is something that’s related to both Christmas and your business. Custom printed t-shirts and mugs are both really fun and cost-effective options, especially if you’re planning on having more than one winner. By reaching out to those less fortunate than you, you can also create awareness of your own brand at the same time. There are loads of different ways you can support charities, and it should be something you consider doing year-round, rather than just at Christmas. You could inform customers that all proceeds made from a certain range of products goes to charity, or even host a charity event like a coffee morning or brunch and encourage customers to donate with you. Just make sure you send invites beforehand! When it comes to picking which charity to support, choose one with the same values as your business and of your customers. That way, you know you’ll be able raise the optimum amount of money for the cause and interest in your charitable action. Small Business Saturday is a non-commercial campaign created to encourage consumers to ‘shop locally’ and support small businesses in their communities. It takes place on the first Saturday in December each year, and reaches out to hundreds of millions of people. In 2017, consumers spent £748 million and #SmallBizSatUK was trending on Twitter at number one in the UK! As well as taking part in their free startup support workshops, you can also advertise your business on Small Business Saturday’s business finder for free. That means you’re accessible to even more customers! Why not get involved with social media on the day and get a good idea of what other small business are up to? However you choose to spend Small Business Saturday, it’s a great way of kicking of your festive marketing campaigns, so you should definitely include it in your plan. In this digital age, the best way to stand out from your competitors is to do something completely different. Emotion plays a huge part in many Christmas marketing campaigns (like those really long, heartachingly good TV ads you see on the run up to the big day). And nostalgia is a fantastic emotion to try and target, especially if you’re marketing towards millennials! The ultimate #ThrowbackThursday, old school greetings cards are awesome for breaking the mould and getting your brand noticed. Personalising your marketing materials is also super important, with 59% of consumers who experienced personalisation saying that it significantly influenced what they purchased. 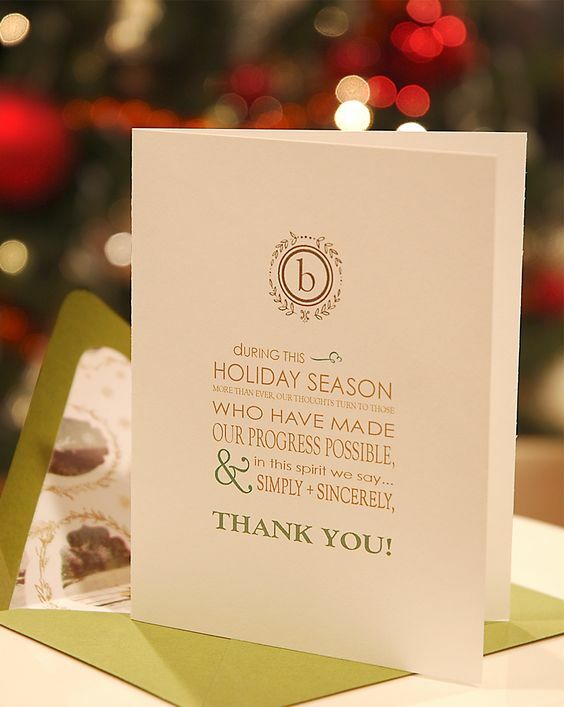 Personalise your marketing Christmas cards with a handwritten note. Why not include a discount code to incentivise them even further? What’s the one Christmas gift you can buy for anyone? A gift card for their favourite shop! Gift cards and vouchers amounted to approximately £5.7 billion in the UK in 2016. If you pop a unique code on your gift card design, customers can choose to use these cards online as well as instore! Gift cards work so well because, essentially, it’s a recommendation. By giving someone a gift card for a particular store, you are endorsing that business. And when 70% of millennials are influenced by the recommendations of their peers in buying decisions, that says a LOT! Having gift cards available to pick up at the checkout is a must for boosting sales at Christmas. Using red and green might be a little daunting, depending on your branding and general style of shop, but they aren’t the only colours customers associate with Christmas – why not add some sparkle with gold, silver and even a rich purple? Having a poster in your shop window display is a way of driving customers into your shop. Or, if you’ve got a sales section instore, you could showcase this with a custom design roller banner! Tinsel, lights and baubles are extremely versatile and allow you the opportunity to get really creative. Imagine a tinsel scarf for a clothes retailer, or baubles to jazz up an empty coffee jar in a café. Lights make for great window displays – hang them around posters and signs to make special offers really stand out! Sometimes known as engagement or event marketing, experiential marketing is creating a positive and memorable experience of your brand for customers, therefore strengthening their relationship to your business. You don’t have to be a multi-million-pound company to create a fantastic brand experience for Christmas. You could offer a taste testing session, or offer a whole range of workshops depending on what your business specialises in. 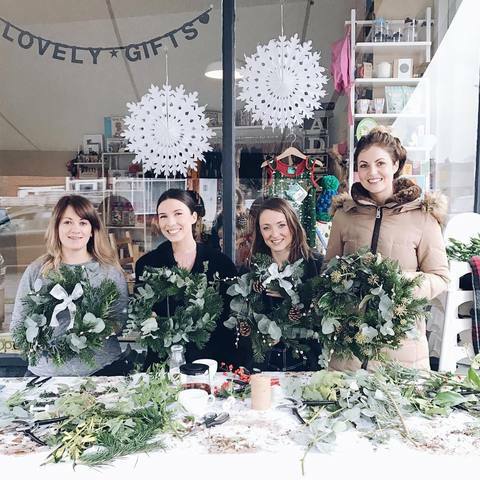 For example, a jeweller could offer a class on making your own jewellery, a chef could offer a Christmassy cookery class and a craft shop could teach wreathmaking! A lot of the purchases made from now up until Christmas day will be presents. So, why not offer a gift-wrapping service? Anything that makes the act of buying and wrapping gifts easier for customers will do wonders for customer relationships and brand positivity. If you’d like to create your own custom wrapping paper, why not design your own A0 posters with our value silk paper – it’s thin enough for effortless folding and wrapping, making it a perfect Christmas print hack! During December, high streets are teaming with shoppers searching for the best Christmas gifts. This means a lot of them will be making a snap judgement about your shop. Having a winning Christmas window display is the best way to stand out from your competitors and drive customers into your store. Whether you choose to create a winter wonderland scene, dazzle with bright lights and colours, or even do something completely wacky and out there (think Ted Baker’s homage to the Full Monty – Ted’s Full Frosty, featuring a saucy stripping snowman), the aim is to grab attention with festive delights. 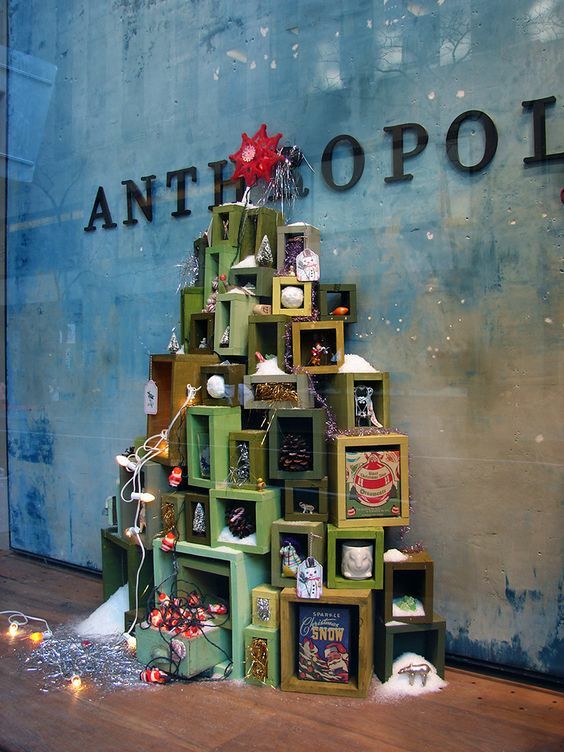 Building a tree out of your products is a really versatile idea for retail Christmas window displays. You can literally use anything, like Anthropologie’s shabby chic tree of stocking fillers. Got a lot of coat hangers *hanging* around? Stick them onto a printed cardboard sign for an easy window display tree! Since it’s the season for giving, why not give your customers a few holiday-themed discounts to encourage spending in your store/online shop? The easiest way to theme your offers is to look at Christmas traditions and play on some of these. As well as the ever-popular 12 deals of Christmas style offers, you can get super creative with other holiday traditions. Why not try a trio of special offers based on gold, frankincense and myrrh? We particularly like the idea of an email marketing campaign where customers click a present or cracker and it redirects your customers to a landing page offering them a discount or free next day delivery! Whether you like it or not, you have to do your Christmas shopping. For a lot of people, finding the time can be tricky – especially if they’re working right up to Christmas day. Office workers, especially, will struggle to find the time to complete their shopping if they don’t finish until 5pm or later. That’s why offering extended opening hours for late night shoppers is such a fantastic idea – think about it, all the time you’re not open in the evening, you’re losing money to the shops that are available to these kinds of shoppers. Although this might involve hiring more tempts to cover these extra hours, it’s definitely a worthwhile investment for your business. They key to creating a fantastic Christmas marketing strategy is finding something that works for your business. You know you customers and what they like and don’t like better than anyone. It’s always good to take inspiration from what other people are doing, as long as you can create a spin that’s 100% your brand. We hope these ideas help bring you a Christmas that’s merry and bright!